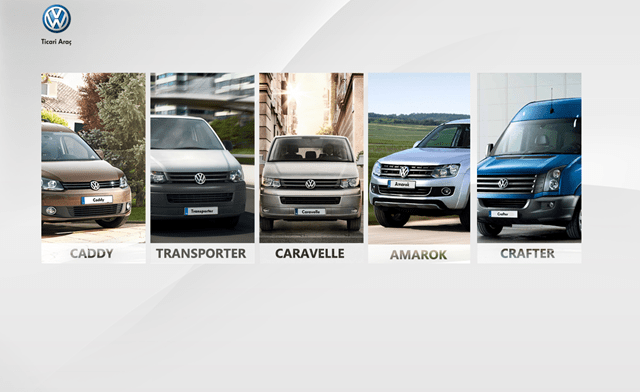 Volkswagen Ticari is a free Windows 8 Volkswagen app for those who want to search everything about Volkswagen’s commercial vehicle like Amarok, Crafter, Caddy, Transporter, and Cravelle. 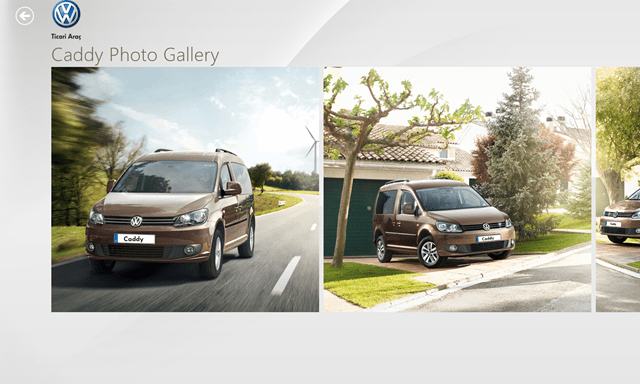 This app for Windows 8 lets you check out every bit of information about Volkswagen’s commercial wagons. You just have to click on a specific vehicle to check all the specifications of that wagon. Just try not to fall asleep, because it’s quite a long list of specifications there like Engine Type, Gear Box, Suspension, brakes, Clutch, Tires, Torque etc. 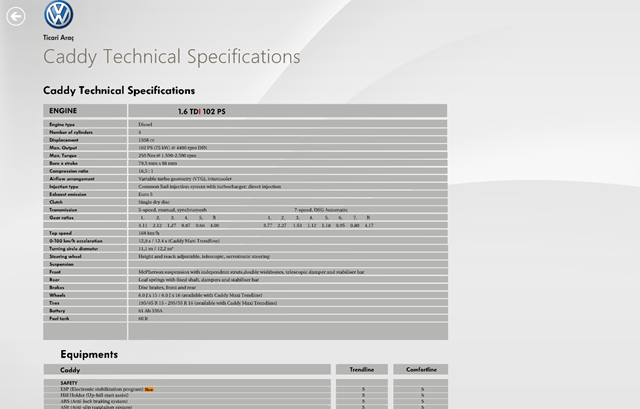 As I said there is a long list of specifications. You can also check other necessary things like safety equipment, comfort, exteriors etc. Well, some of them are standard and some are just optional. In addition to that, you can also check out snapshots of the wagon’s interiors and exteriors from various angles and it could be an eye candy for the commercial vehicle users. Just scroll your mouse over it and view a number of pictures of that mobile wagon. Its size, color, exterior beauty, etc. You can also watch videos related to these little but powerful beasts. As its Volkswagen so, you shouldn’t take my words lightly. Trust me, it is a beast. Have a look on the videos and you will know it. So, just try this Windows 8 Volkswagen app once. As it is like a one time use, or you can suggest it to your friends or your business partners, if they really want a Volkswagen.